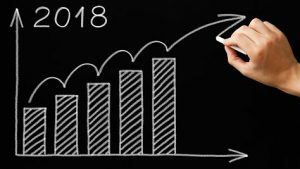 In December 2017, we polled our readers about their business performance predictions for 2018. Of those who participated in the poll, 23% said they expected “exponential” growth and 58% expected “moderate” growth. Only 2% of businesses predicted a decrease in business volume—a 4% decrease over 2017’s predictions. In July, with the first half of 2018 in the books, we checked in with another poll to see how those predictions are holding up. And, we’re happy to report that things are looking good for businesses so far! So, there is a reason to be optimistic about the second half of 2018. The economy is getting stronger and more people are finding opportunities to rejoin the workforce. In many ways, it’s a job seeker’s market and those with the right mix of skills, experience, and drive have more options open to them than they have in many years. And for some of the more entrepreneurial-minded people, that includes starting their own business. Business ownership is a dream many people share. From better work-life balance to being your own boss, there are many reasons to strike out on your own. And one of the most important factors to consider is timing. A strong economy where business activity is trending up is a best-case scenario for starting an entrepreneurial journey. Low unemployment means more people are working, and thus have more spending power. There is no room for advancement in your career. You no longer feel challenged at work. You want to turn your hobbies into a profession. The 8-to-5 workday isn’t flexible enough for you. You believe you can do things better/faster/bigger on your own. If you’ve ever considered making the leap to business ownership, but you’re not sure where to start or if you’ll have enough support to be successful, then franchising might be right for you. Check out this Refresh Leadership article that outlines some of the best qualities successful franchisees share: Realizing the Dream of Entrepreneurial Success. And if you’re looking for a franchise opportunity that’s right for you, be sure to check out Express Employment Professionals. The temporary staffing industry is on track to generate a projected $150 billion in North America annually. Express Employment Professionals reached $3.4 billion in sales in 2017 and has been ranked the No.1 staffing franchise in the Entrepreneur 500 for seven years running! Our start-up offices average more than $1 million in sales in their first year, with mature offices averaging $6.46 million annually. * Plus, as an Express franchise owner, you control your life with flexible weekday hours in a professional business setting. Express is a growing franchise with more than 800 locations and a 35-year history of success. For information about the Express franchise opportunity, visit ExpressFranchising.com. *For franchises open more than two years, average sales per territory in 2017 were $6,469,106. And for first-year offices, sales were $1,011,864 per Item 19 in the Express Franchise Disclosure Document.